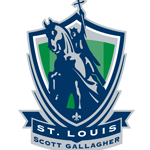 SLSG Illinois - Saint Louis Scott Gallagher, Illinois is looking to add players in certain age groups/programs. We have teams competing in the Development Academy, ECNL, SLYSA and in the P6 league. Please contact our Zone 1 Director Wichert de Wit at wdewit@slsgsoccer.com if you have any questions.